You are here: Home / News / New Sound Effects / Cyber Monday Deal: 3 New Sound Design Libraries 50% Off! For the next 48 hours only every one of these is 50% off. Save $12 each! That means you will get over 1,000 clips for just $36 using coupon code DESIGNED18. 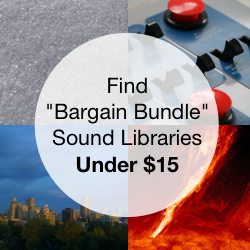 Your sound library is stocked with subsonic transitions, energy whooshes, and logo swipes. Go back to basis with a new collection of simple sweeps: Airy Whooshes. 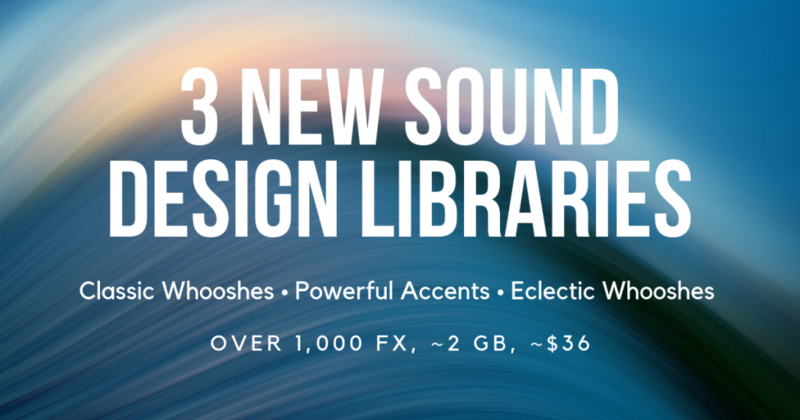 This bundle features only classic, plain whooshes: pure and simple, and high and thin in tone. Designed to be subtle and unobtrusive, these swipes help support fist fights, sudden dashes, and comedic swipes, ranging from breathy to thick, thin to whistling, and more. Learn more about the Airy Whooshes sound collection. Our Eclectic Whooshes series was created to provide you a wide assortment of swipes, sweeps, fly-ins, and swooshes for any projects you encounter (volume 1, volume 2). Our third release, Eclectic Whooshes 3, shares new categories of whooshes: cartoon, comedy, ghostly, gritty, thin, watery, and more, as well as packing in other classic types. Listen to the Eclectic Whooshes sound library. Crafted to blend energy and strength with motion, the Power Accents sound bundle includes whiplash whooshes, jarring bursts, and brawny blasts. Use them to add drama and tension with sudden, sharp elements. View the Power Accents sound library page. We have paid the utmost attention to detail in each sample in every clip. We hope you enjoy adding them to your projects! 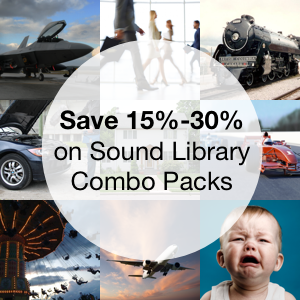 These sound libraries are on sale for the next two days only. Use discount code DESIGNED18 to get 50% off each library (you’ll see discount prices after you add the promo code at the checkout). The coupon will save $12 off each collection. Buy all three to receive almost 2 GB and over 1,000 designed clips for $36. Learn how to use a promo code. Thank you for your interest in the new sound fx collections. 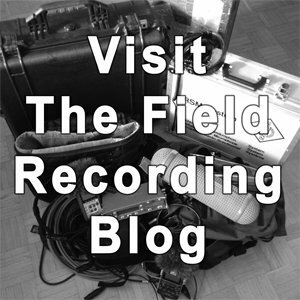 View the new sound design libraries.